I am very proud to have been asked to co-curate an exhibition in the main space at aspex, Portsmouth. 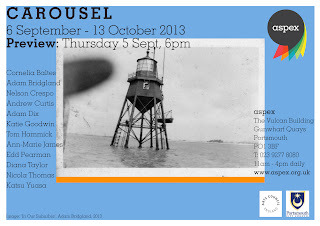 Entitled Carousel the show focuses on twelve contemporary artists working with print. The exhibition opens on the 5th September and runs until the 13th October. More information can be found here.